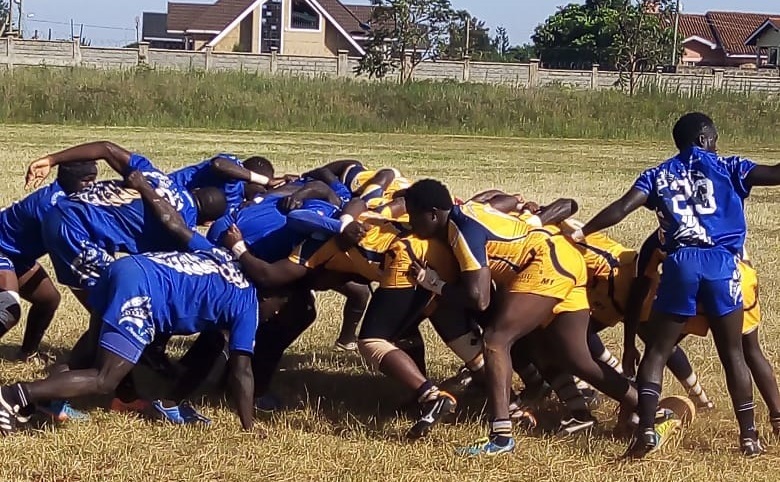 The University of Eldoret (UoE) handed USIU their first defeat of the season as second tier Championship games continued with round 7 games on Saturday 19 January 2019. UoE’s home win was one of four that characterized the weekend as Western Bulls, Kisii RFC and Masinde Muliro also picked home wins. In Eldoret, Alex Dibo's try had UoE 5-0 at half time. In the second half a Charles Kuka try and Eliud Mlakoli conversion handed the visitors a 7-5 but the home team was to clinch it with a Dennis Mwanga penalty. In Kisumu, visiting Catholic went top of the standings after an 8-3 win over hosts Kisumu RFC. A Newton Wasike penalty and Maxwell Omondi try gave the visitors the points as the hosts got their response through Israel Makokha's penalty. In Kisii, visiting Ng'ong RFC took their game to the hosts Kisii but narrowly lost 22-16. Masinde Muliro were a rampant lot handing visiting Egerton Wasps a 43-3 beating while in the same town, Kakamega, Western Bulls dispensed off Mombasa RFC 32-6. From the weekend games, Catholic Monks shot to the top ofthe standings with 27 points, one ahead of USIU and three of Western Bulls. Kisii RFC is in at fourth with 18 points, one ahead of firth placed Kisumu RFC. Ngong RFC is on 15 points to sit sixth followed by Masinde Muliro, Mombasa RFC and UoE who are all separated by a point. Kitale is tenth with 12 points as Egerton Wasps and South Coast Pirates take up the final two places with eight and six points, respectively.